Strawberries and Cream., with a powerful custard, delicious! The perfect balance between Granny Apple with a bit of acidity and a super cinnamon. A blond Classic that'll certainly be your "all day" smoke. Powerful ! A diabolic liquid mixture of grape, blackcurrant, menthol, aniseed...! The Raspberry revisited by Green Vapes. Subtle, Sugared, Strong! Based on Holy Gum Green Vapes but pepped up with a splash of menthol. If you love Chlorophyll chewing gum, this liquid is made for you! Vape and project yourself into a world of sugary, spicy and pick-me-up clouds. Just like a Bollywood film! A blond classic with its pronounced American originality. Spiced and Fruity. The strength of heavily fruited strawberry and an inkling of forest strawberry nuance. A Green Vapes interpretation of the famous peach tea. To be discovered immediately. A subtle liquid with a fruity and fresh nuance. This secret recipe won't leave you indifferent! An exquisite mixture of melted butter and biscuit, with vanilla and caramel. An "all day" for the true gourmets. A mojito cocktail sauce by Green Vapes. To vape with moderation! A gourmet Peanut Butter liquid without feeling sickened...! A creamy vanilla and its touch of cereal. Your future All Day! Brittany honors you with this Caramel salted butter with a base of gourmet Classic. A subtle blend of freshness, orange and lime enhanced by a touch of fruits of the forest. A harmonious blend of coffee liqueur and biscuits with a touch of brown sugar, all on a base of Classic. If you like Chlorophyll mixed with different Menthol flavours, you will find your perfect match! Harmonious mixture of Banana, Strawberry, Fruits of the forest, Pineapple, Kiwi and Mango. A subtle mixture of Blackcurrant, Blueberry, and Green Apple. An authentic dry Classic taste. A must vape, ideal for beginners. A typical American Classic flavour. With sweetness introduced Vanilla and Caramel notes. Notes of Vanilla and Caramel. A Classic which is round in the mouth and appreciated. A cocktail of sweet en refreshing Red Fruits. To be consumed with moderation. Taste the Polar sensation from the Great North with Garden Mint. A recipe revisited by the brand that knows how to satisfy the most demanding taste buds. A gourmet recipe with a base of Biscuit, Hazelnut, Vanilla and Caramel. This Pinkman High VG E Liquid for large clouds. 30/70% in PG/VG. 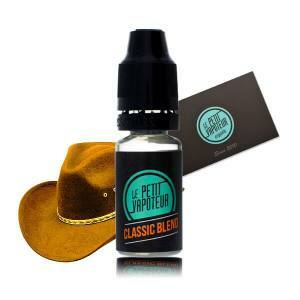 A Natural Classic Blond Aroma, neutral and perfect for beginning the Electronic Cigarette. A mixture created from natural Classic Blond Aromas, notes of Oakwood and Honey. A delicious Strawberry Sorbet, perfect to accompany your dessert. Between Iced Sorbet and Fresh Smoothie, let yourself be tempted by Fresh Raspberry, Gourmet and Refreshing. A fruity and acidic flavour for a Sunny Vape! A festive Cocktail with Lemon, Kiwi, Pineapple, Strawberry and Banana. A little wink to Snake Oil. A Lemon and Mixed Fruits e-liquid which a hint of freshness. From Salt in Butter, Salted Butter in Caramel... They are the crazy The Bretons! Authentic and Unique Caramel ! Fragrances from far horizons, on a bed of Strawberries with a touch of Green Mint. A mixture of Yuzu and Apple in Earl Grey. Simple, efficient and moving. An alliance between Classic and Gourmet, a hint of Virginia Blond flavours and a subtle mixture of Shelled Fruits. Discover an ultra gourmet Peach, now is the moment to taste a fruit which is juicy and sweet. Close enough to the RY4, taste the flavours of this sweet and intense real Cigar. Wait for a dense and refined vape. The famous Breton Salted Butter Caramel will melt you with pleasure. A succulent mixture of fruits which invites you to a whirlwind of savoury tastes. The intensity of this Classic Brown, sublimated by the Cigarillos. Rich, blond and soft, this classic offers a bitter and rich vape. Succumb to the "Classic" taste, neutral and discreet which without a doubt will become your "All Day"! Hold On!!! An oaky and dry Classi awaits you. A buttered dough with Apple and Cinnamon are reunited for a marriage of savoury flavours. ! Vape this refreshing Soft Mint with a hint of Eucalyptus. Offer yourself this crunchy little biscuit to vape. Vape this delicious sweet Banana. Your vape will be very fruity... A date with the Strawberry. A wind of Icy freshness which will make you shiver with pleasure. A Strawberry Candy which will give you a vape full of pleasure. This juicy Apple offers you a fruity vape. 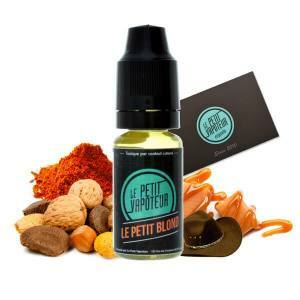 A selection of best liquids from the Le Petit Vapoteur range. Gourmet Flavours at a very attractive price ! Fruits Rouges, Fraise and Pomme forming a Fruity Pack which has its advantages ! Classic Menthe, Menthe Douce, Menthe Polaire: A Menthol Pack to taste in complete urgence! 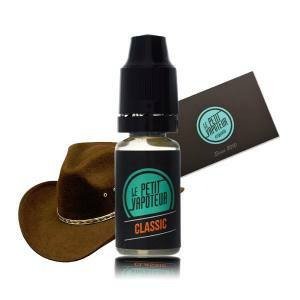 A fresh Pack inclusive of different E Liquids: Citron Givré, Le Rouge and Fraise fresh ! A strong fruity flavour based on a mixture of citrus fruits, ideal fans of fruit! Taste the fruitiness of Strawberry, Pineapple and Green Apple. Let yourself be tempted! Booster for your DIY preparations with a base integral of Vegetol. This Classic blond offers a caramelized note which is more present and sweeter than the T Blond. A Sense E Liquid reunited with Green Mint and Iced Mint aromas for a perfect balance. Find the beautiful Gariguette Strawberry, sweet and gourmet accompanied with Whipped Cream ! A Lemon and Lime Candy reunited in this acidic candy..
A mixture of exotic fruits in an e liquid, sweet and juicy. Appreciate this Caramel Cream, full of gourmandise. Appreciate a good taste of Williams Pear freshly handpicked. A harmonious une grenade et une orange sanguine. A mixture between subtle Mint and perfumes of Aniseed.